Ticks are small arachnids that feed on the blood of mammals, birds and occasionally reptiles and amphibians. Ticks vary in color depending on the species. Unfortunately, they are vectors of numerous diseases that can affect humans. Professional pest control in Fort Worth can significantly reduce your family’s risk of disease from ticks. Give The Bug Dude a call for effective treatment of pests. Adult ticks possess four pairs of legs after feeding and gaining their first molt. Ticks tend to dwell within the habitats of their preferred hosts. These habitats may be found diverse areas, such as forests, grasslands and homes. After hatching, all stages of a tick’s life cycle feed on blood. survive. According to numerous studies, features such as sandy soil, hardwood trees, rivers, and the presence of deer are good predictors of dense tick populations. Ticks are often found near wooded and highly vegetated areas. However, they may enter the home on clothing, pets, or people. 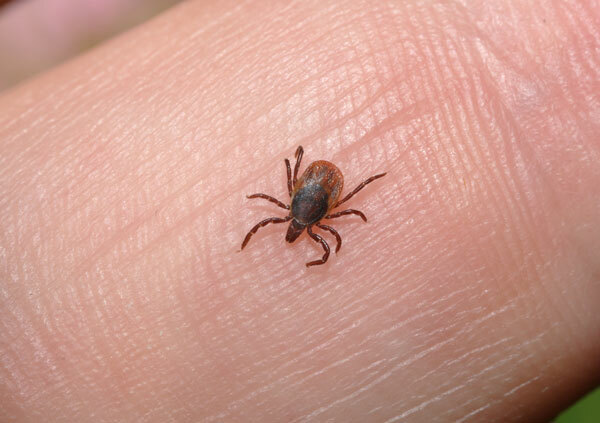 Therefore, it is advisable to inspect pets and children when they have been outdoors to ensure they aren’t carrying a tick, and to wash clothing that may contain ticks. Numerous studies have shown the density of population and distribution of deer ticks correlate with large deer populations. Contact The Bug Dude today to schedule pest control in Fort Worth. Unfortunately, ticks may also enter the home through crevices or gaps, and also poorly fitting screens and doors. Careful sealing of these in the home’s foundation and walls can discourage ticks. In addition, frequent mowing of the lawn, and maintaining short grass may assist in controlling the population of ticks. In tall grass and vegetation, ticks lie in wait for a host to brush past, enabling them to climb on a host. In addition, remove empty bird nests, and rodent nesting materials, as ticks readily infest these sources. The most effective means of tick control is through professional pest control in Fort Worth. Ticks find their hosts by detecting animals’ breath and body odors, or by sensing body heat, moisture, and vibrations. Up to 3,000 eggs may be laid on the ground by a single adult female tick. When the inspection is complete, the Bug Dude may recommend modification of the ticks’ habitat. For example, trimming trees to allow sunlight to filter through into shaded areas may reduce tick populations. In addition, your technician may recommend removing thick leaf litter, thick ground cover and cleaning up debris piles, stacking firewood and rock piles. Cleaning and tidying up should target areas frequented by pets and family members, and clearing brush near the edge of the lawn. Wildlife entering your yard can also bring ticks in. Constructing a fence will assist in keeping wildlife out. A tidy, well cut lawn and routine pest control in Fort Worth provides the best tick prevention. If a tick infestation is especially heavy, it may be necessary to treat your pets, home, the lawn, and wooded areas. The Bug Dude can provide the professional pest control in Fort Worth that you need to get rid of ticks, and other pests. Professional pest control in Fort Worth is the most effective means available for preventing a tick infestation. We serve Fort Worth and the surrounding areas with professional pest control services.